In 2014, according to a Gas Meter Reading company, Fortis BC will not be installing Wireless Gas Meter upgrades at least until after 2016. 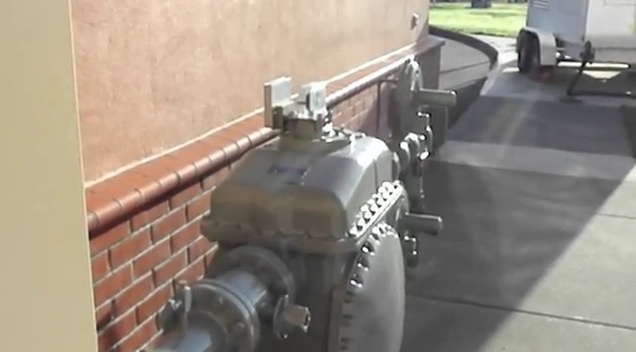 Here are images from the USA of various wireless gas meters. The 2.4GZ OpenWay Gas module is Itron’s radio-frequency (RF) gas meter module for use with Itron’s industry-leading OpenWay smart grid advanced metering infrastructure (AMI) system. If your gas meter is inside your home, check for a wire running from the meter to the outside. If there is a wire, you have a gas smart meter. Beware! DTE employees will tell you they are there just to read the meter, then switch your meter out. In one instance, a customer accompanied the employee downstairs to the basement. He did not change out her meter. They got to the top of the stairs. He told her he had forgotten something downstairs. He was back within a minute. He had changed out her meter in that one minute! Itron 2.4ZR OpenWay Range Extender for gas smart meters. 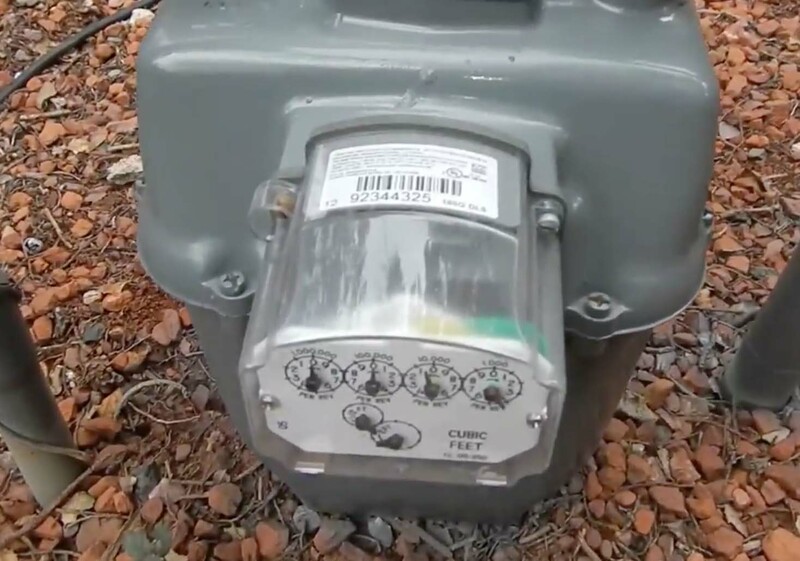 Gas meters may also have range extenders installed next to them. These range extenders allow the gas meter to transmit much farther than they otherwise would. 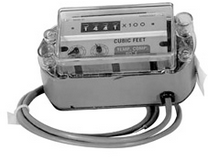 The smart gas meter is designed to interact with an individual customer’s smart electric meter. If there are obstructions, such as foliage or a house wall, the smart gas meter may not be able to communicate with the smart electric meter. 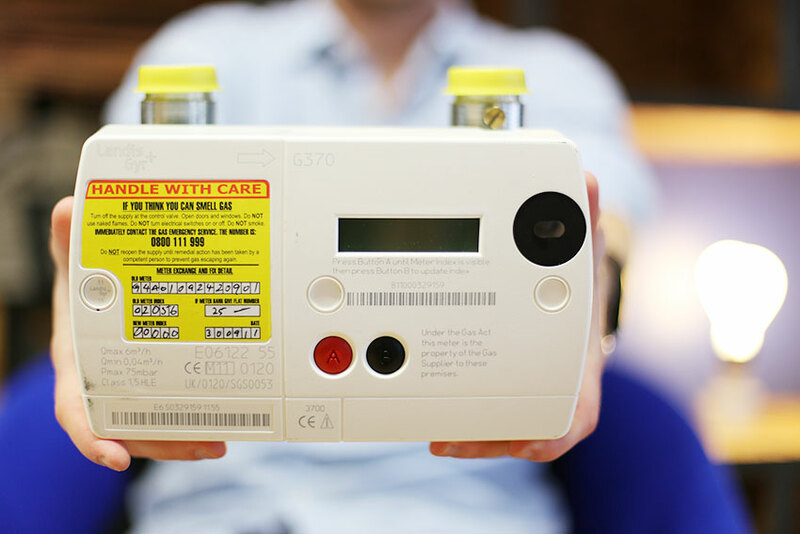 Gas smart meters have caused severe health problems for some people, including loss of ability to speak, just as if one had had a stroke. There will be a sticker on the top of the gas module that looks something like this. 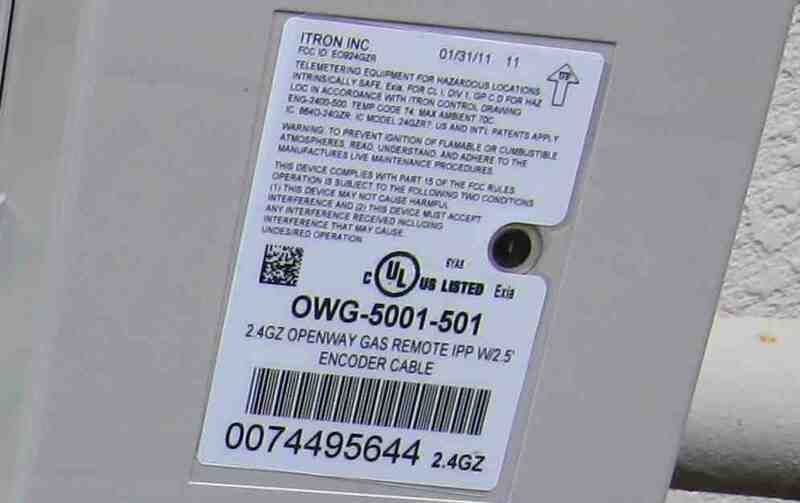 As you can see from the top line, the sticker says: ITRON INC. 2.4GZ OPENWAY GAS MODULE, FCC ID: EO924GZB, IC:864D-24GZB; IC MODEL: 24GZB(1). These numbers may very a bit depending on the location of the country you are in. 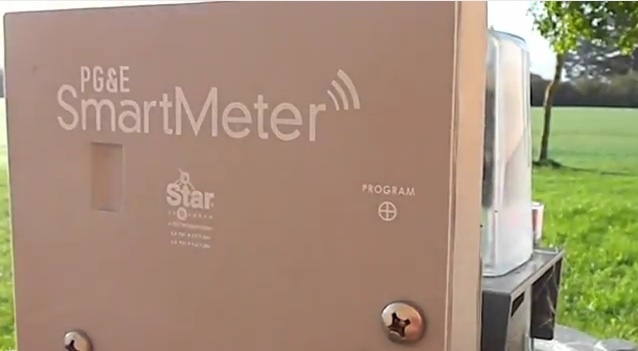 The gas smart meters transmit a wireless signal to your smart electric meter. Gas meters are typically on the opposite side of the house as the electric meter, so it’s that much more wireless going through your home. 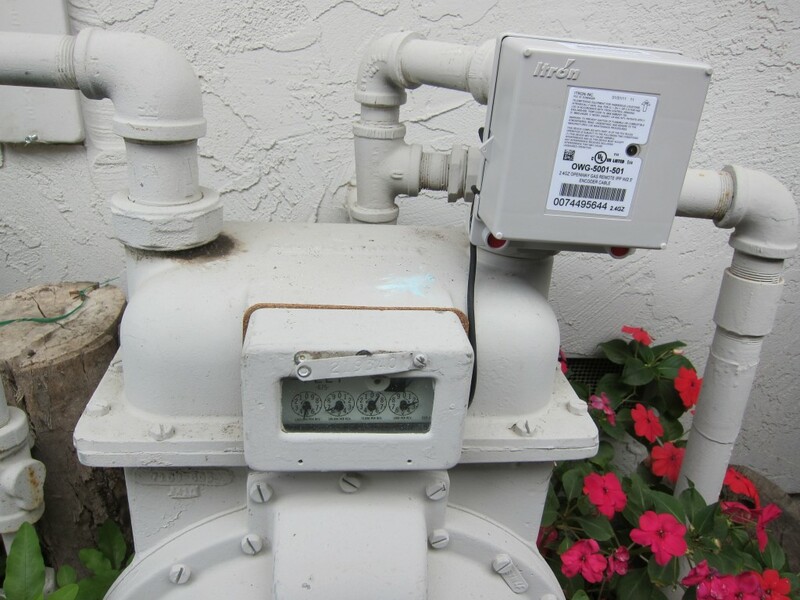 To learn how to keep a gas meter off your home, click here. 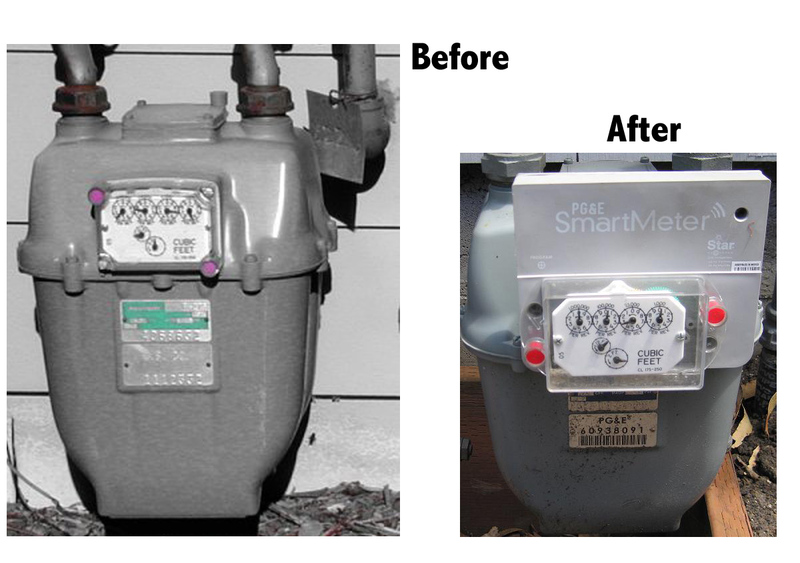 Note that DTE does not install gas smart meters and electric smart meters at the same time. The pulser provides a dry-contactswitch closure from two separated magnetic reed switchesduring each revolution of the meter index drive. The timingof the two switch closures is separated by approximately a 90°turn of the index drive.The RVP-FI Pulser is installed over the meter index driveusing the holes in the meter body used for the index box. The existing index and index box become part of the Pulser during installation. Contact closures are supplied by normally open Form A switches. One side of each switch is connected in common. The output of each switch is available through an integral, 12-foot cable along with a common connection for each switch. The cable also includes access to a loop for floating tamper-detection circuits as well as a connectionto the common when needed for tamper detection. Aclara STAR® Network communications module to control Elster AC-250 remote shut-off valve; Provides Smart Grid fixed-network control over gas flows, facilitating improvements to revenues and safetyNASHVILLE, Tenn., May 24, 2011 /PRNewswire via COMTEX/ –AGA Operations Conference — Elster (NYSE: ELT) and Aclara, part of the Utility Solutions Group of ESCO Technologies Inc. (NYSE: ESE), announced today that the two companies have teamed to promote gas smart-metering solutions. The initial collaboration is a mutual agreement to develop support for Elster’s new AC-250 gas meter shut-off valve via Aclara’s STAR Network advanced metering infrastructure (AMI) module, enabling more precise control over gas flows for improved safety and revenue protection. (Logo: http://photos.prnewswire.com/prnh/20110126/SF35872LOGO-a)The joint solution, when developed, will provide utilities with remote fixed-network access to the downstream natural gas flow. It will enable utilities to promptly execute gas shut-offs, reducing operating costs, facilitating revenue recovery, and enhancing employee and customer safety.”Relying on the Aclara two-way AMI communications module to control Elster’s AC-250 shut-off valve will enable utilities to quickly stop the flow of gas at the meter level,” said Ron Smith, vice president of marketing, Aclara. 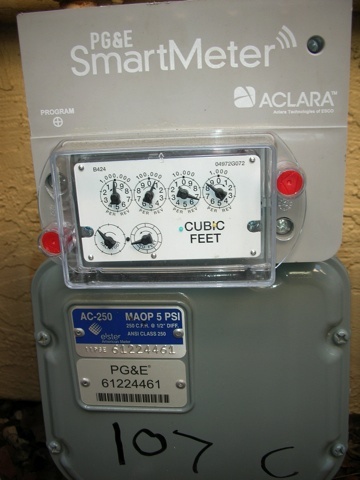 “By combining two of the industry’s most advanced solutions, Elster and Aclara are working hand-in-hand to bring the benefits of AMI infrastructure to both utilities and consumers.””As a gas metering industry leader, Elster is committed to promoting and bringing to market interoperable open interface products and solutions to benefit the entire market,” said Joe Turgeon, director of AMI/AMR solutions, Elster Gas North America. “We are excited to work with Aclara as they also understand the importance of device interoperability in a smart gas environment.”Elster will be demonstrating the capabilities of the AC-250 shut-off valve at booth #600 at the American Gas Association’s Operations Conference & Biennial Exhibition, being held May 24 – 27, 2011 in Nashville, TN.About AclaraThe Aclara® brand represents the industry’s leading Intelligent Infrastructure technologies for providing device networking, data-value management, and customer communications to water, gas, and electric utilities globally. Over 500 utilities in nine countries rely on proven Aclara solutions to connect with their customers. Aclara is part of the Utility Solutions Group of ESCO Technologies Inc. (NYSE: ESE), St. Louis. Create Your Intelligent Infrastructure www.Aclara.com. Elster has one of the most extensive installed revenue measurement bases in the world, with more than 200 million metering modules deployed over the course of the last 10 years. It sells its products and services in more than 130 countries across electricity, gas, water and multi-utility applications for residential, commercial and industrial, and transmission and distribution applications. Requested to the competent authorities of the City of Lecce immediately blocking the installation of new gas meters to remote reading (smart meter), potentially dangerous to public health. It was presented to the municipality, the Prefecture and the Province of Lecce a document signed by 14 people including doctors, pharmacists, biologists and leading members of civil society in which you require an urgent moratorium on the installation of new meters of gas remote reading (smart meter). These devices are radio frequency (RF) that only work wirelessly supplying pulses 24 hours 24. The smart meters allow the reading of consumption at a distance and above all allow you to manage the flow of gas on the basis of demand instant but in a report by the Institute for Competitiveness, Energy Area, in October 2011, states that for the distributors Their installation is advantageous only in the case in which the costs are transferred in the bill. For citizens, then, the costs are related to the most serious potential damage to health caused by the new meters.Because the installation is widespread (homes, offices, schools, etc. ), the exposure to RF is massive and continued. The petitioners are asking the Mayor of Lecce and the competent authorities that, with regard to the new meters, is applied the Precautionary Principle as the Council of Europe; interrupted urgently installing them not to endanger the health of citizens; has convened a round table about. Numerous and credible scientific studies conducted by internationally renowned researchers highlight the potentially harmful effects to human health to radio frequency devices for telecommunications as precisely the smart meter. It is biological effects that occur for exposures significantly below the limits of the law. The most common symptoms are: headache, insomnia, difficulty concentrating, fatigue, memory loss and learning delays, depression, tinnitus, nausea and vomiting, increased blood pressure. All symptoms, for their non-specificity, are often not recognized as probably from exposure to radio frequency. With the continuation of this exposure were observed permanent neurological damage (early dementia, Alzheimer’s), damage to the immune system, the endocrine system, the gene pool, and even cancer. Children, adolescents, pregnant women, the elderly and those with pre-existing health problems are more vulnerable. In addition, prolonged exposure to radio frequency increases the risk of developing a disease emerging (EHS), which according to recent estimates would affect between 3% to 5% of the European population (the percentage is growing). The EHS is manifested as an allergy to the RF and is disabling for sufferers. The alarm sounded by the scientific community on the inadequacy of the current standard of RF exposure, based only on the effects of thermal and non-organic ones, has been implemented by several international bodies, including the European Union, the Council of Europe , the American Academy of Environmental Medicine, the American Academy of Pediatrics, the European Environment Agency. In particular, the Council of Europe (Resolution 1815 of 27/05/2011) recommends Member States to take urgent action to reduce human exposure to electromagnetic paying particular attention to children and to apply the Precautionary Principle. In Italy, however, the law 221/2012, the limits for exposure of the population were actually increased despite the contrary opinion expressed by both the system of environmental agencies from both the Ministry of Health. The Italian judiciary has adopted in recent years an innovative position on health risks from electromagnetic fields: the Supreme Court, in a judgment of 2000 states that is within the powers of the Court to check that there is no danger to the health in exposure to a source of pollution, even at levels below the legal limits. A group of 54 experts, led by D. Carpenter, signed in 2012 a document clarifying the serious damage to health associated with exposure to the smart meter, sconsigliandone installation. Among the decisions taken at the political level in defense of public health highlights the choice ten counties in California, and 39 municipalities of British Columbia (Canada) which have banned the installation of smart meters. For Lloyd’s of London damage related to exposure to RF-EMF (Radiofrquenze – Electromagnetic Fields), are comparable, as gravity, to those of asbestos. Such damage, underestimated by the competent authorities, may grow exponentially and constitute significant losses for the insurance companies. Sign the document pharmacists Fabia Del Giudice and Mimmo Di Tolla (president of the Order of Pharmacists), specialist dermatologist Carmel Calvi,the specialist plastic surgeon Simonetta Morelli, biologists Alessandro Lorusso and Emanuela Assab, Dr. Mauro Sansò (COO garrison hospital rehabilitation high specialties, Fondazione San Raffaele), the lawyer Stefano Gallotta(President Association Codes), Dr Beppe D’Ercole (Lecce Living Association President), Dr. Luigi Russo (President Volunteer Service Center Salento), Dr. Antonio Carpentieri (provincial coordinator Codacons Lecce), Mr. Leo Ciccardi (New Rudiae Popular Committee Chairman), Dr. Salvatore Longo (national president FedImprese) Advocate Claudia Longo (President Bilateral Agency Tertiary Italian). 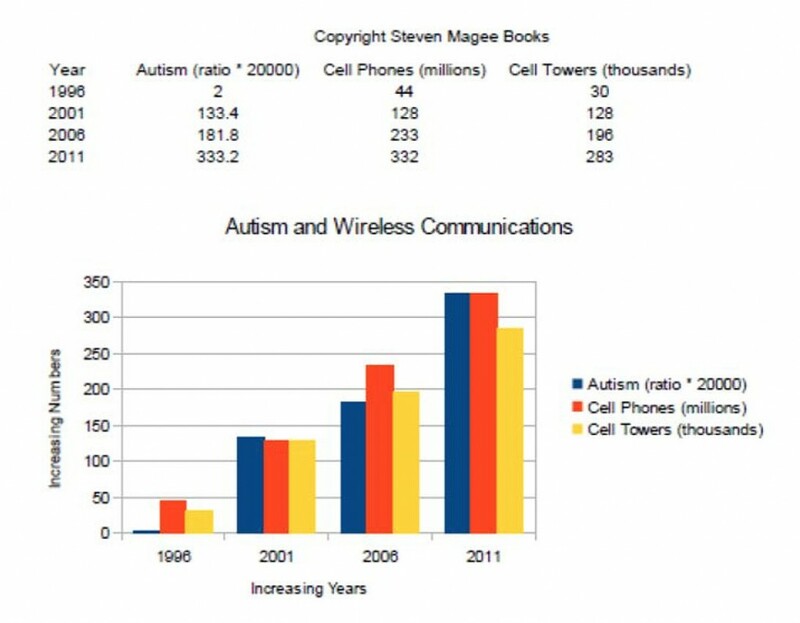 Autism has been following the rise in wireless communications for the last decade and this is shown in the next graph. The graph was complied from data presented by CTIA-The Wireless Association and Talk About Curing Autism (TACA). It is clearly an electromagnetic radiation disease. The longer the damaging effects of man-made electromagnetic radiation are denied, the more this graph will continue to increase. Unfortunately, the wireless radiation era is not a good time to be born into.